I've been sick and coughing for days now and it's not fun at all. I know we barely experience this kinda weather but the effect of the change is horrible but you know, I still had to go to work because it's the end of the month hustle. I didn't even get to straighten my hair! Also, I have a pending sponsored vlog to do that requires talking but I'm currently literally speechless. So, let me throw an #ootd instead. 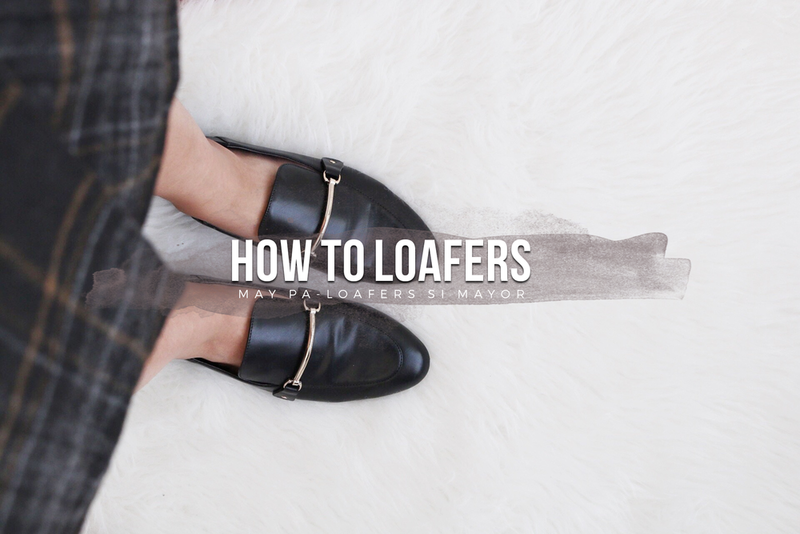 When I got these Stradivarius loafers, I thought of this outfit immediately. I've always wanted to achieve the casual-work look I see on Pinterest. Being a blogger doesn't mean you have to pay a huge amount to achieve a classy look. Gucci released their new loafers and it was beautiful, however, I'm not the type to spend $630 on a product. I figured I can get something cheaper but not cheap-lookingand Stradivarius was my first option. This coat was also on sale when I got it from H&M. While most coats cost about $100 and up, I snagged this for $10 only. Now that winter is almost over (we can feel it already Dubaians), almost every winter outfit is on sale so hurry up and get moving!